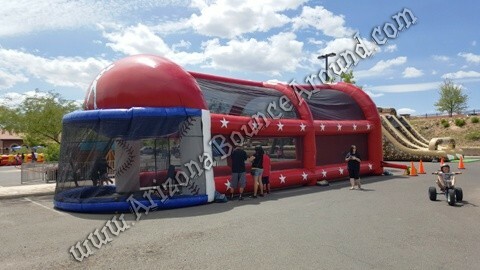 Our 50 foot long Inflatable Batting Cage comes complete with a professional pitching machine with speeds between 25 and 60 mph. 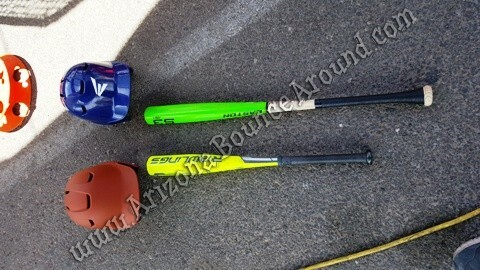 We include everything you need including 2 bats, 2 helmets (1 kids and 1 adult), safety baseballs or softballs, home plate and 1 attendant to operate the game. 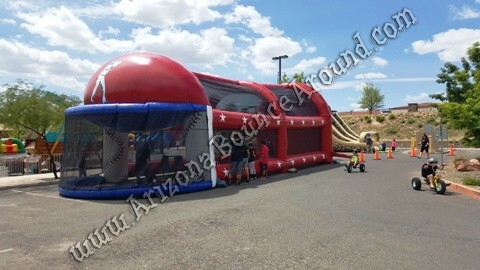 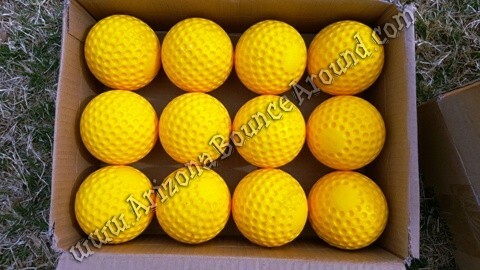 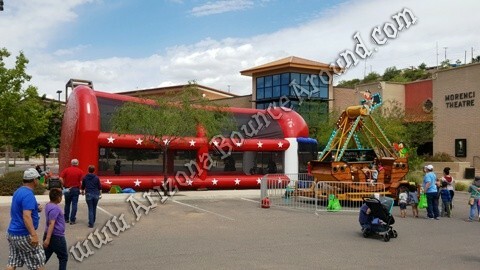 This game is completely portable and can be set up on real or artificial grass, clean asphalt or concrete, inside a gymnasium and is perfect for all types of sports parties, team building and more. 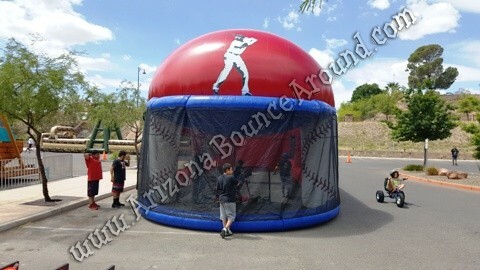 We have a full selection of baseball games and other sports games to choose from like our radar speed pitch game.